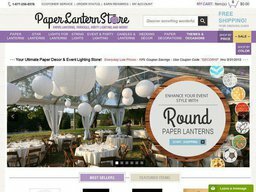 The Paper Lantern Store is a speciality retailer of paper lanterns and decorations for special occasions, based out of Redwood City California, United States. They mainly cater to customers who are arranging parties and wedding receptions. Products are sol exclusively online from PaperLanternStore.com and ship from a 35,000 square feet warehouse. The majority of products are sourced from China, India, Thailand, and Vietnam. The Paper Lantern Store was founded in 2002 with a small inventory of traditional Chinese lanterns. Over the years their range expanded to include a wide range of shapes and sizes, as well as lighting, hand fans, decorations, and table decor. While you're on the company's website, then make sure that you take the time to visit their resource center. The name is certainly accurate as it offers plenty of helpful information in the form of tips, guides, and even inspiration to get you started on your own with decorations. This information is split up into both articles and videos. In addition to using a paperlanterstore.com coupon code, another way to save money is to join their rewards program. With every $1 that you spend, you will earn one point that you can turn in later for special rewards. Those in the rewards program will also earn 3% back on their purchases. There are multiple ways to earn points in the rewards program besides spending money. You can refer your friends to join the site and will also earn points whenever they place an order. Make sure that you join their newsletter while you're on the website. You'll learn about special sales and also get a Paper Lantern Store promotional code every so often whenever they're released. Customers can also join the company on social networks including Twitter, Facebook, Instagram, Pinterest, and YouTube. 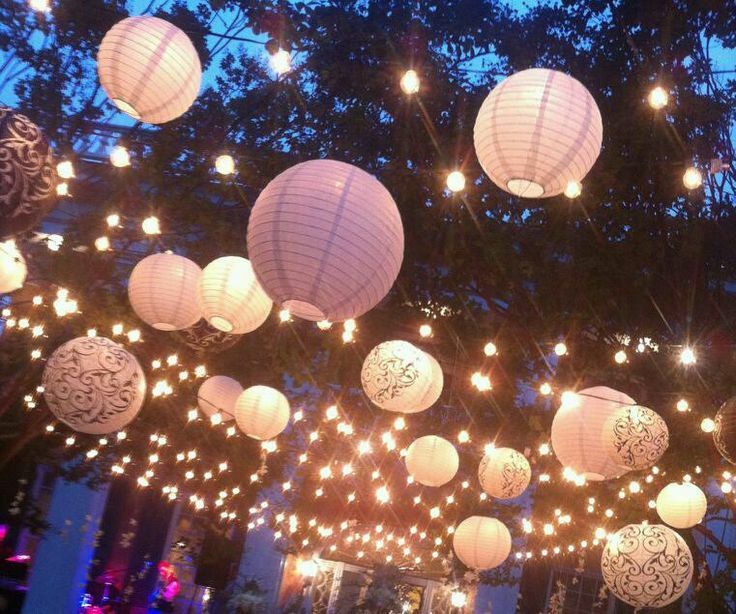 PaperLanternStore.com has something unique for all occasions, whether it's a wedding, standard party or holiday celebration. The inventory can be searched via the search bar, or you can browse categories such as Paper Lanterns, Lighting, Weddings, Party Decor, and Table Decor. You can even shop via occasion, such as 4th of July, Valentine's Day, Baby Shower, among many others. Their lanterns do not just come in paper, you can also choose from a range of nylon and silk designs as well. Other popular items include parasols, mason jar lights, hand fans & pom poms, party balloons, card holders, and more. You can even have your own message or logo printed on to your paper lantern order. Paper Lantern Store accepted Paypal for payment, as well as most common credit cards such as Discover, American Express, MasterCard, and Visa. You certainly won't have a hard time redeeming a Paper Lantern Store discount code if you happen to have one. All you have to do is checkout with the items in your cart. Whenever you reach the payment screen, look for the promo code box where you're supposed to enter your Paper Lantern Store coupon. Shipping is mostly handled by the USPS or FedEx, depending on the size of the order. If you live within the 48 contiguous US states you will qualify for free ground shipping on all orders valued over $85, while customers in Hawaii and Alaska must spend $199. Ground shipping takes a maximum of 7 days, but will arrive quicker for West Coast addresses. You can also pay extra for 3 Day, 2 Day, and Overnight options. There are also numerous shipping options for international customers. Adding items to your basket and choosing a destination will allow you to accurately calculate the cost. All pricing is still shown in US dollars however. Just like most online stores, this one also has a return policy which states that products may be returned at the client’s expense within 90 days of the original purchase date. Refunds are only given for the product, and not the shipping as well. This also excludes any rush handling or processing fees. In the case that you happen to have any other claims, then you’ll be free to contact customer support, which will get back to you as soon as possible with a prompt answer.